A lady knows what she wants out of life…and we're here to show you how to get it. 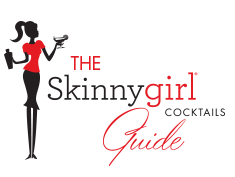 With the Skinnygirl® Cocktails Guide, you'll not only get healthy living tips and recipes, but you’ll also get the scoop on everything fashion, culture, food and cocktails – all served in skinny-sized bites and clips for the on-the-go gal. Check back often…because a lady is always up on the latest and greatest.